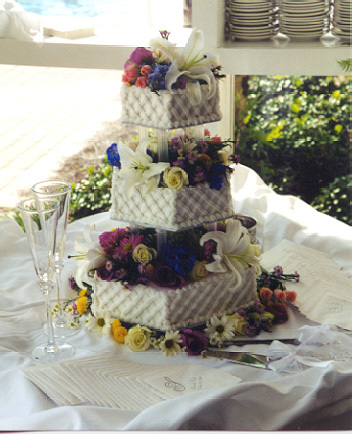 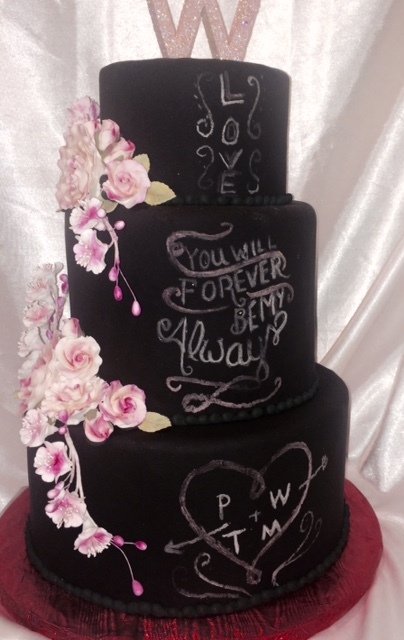 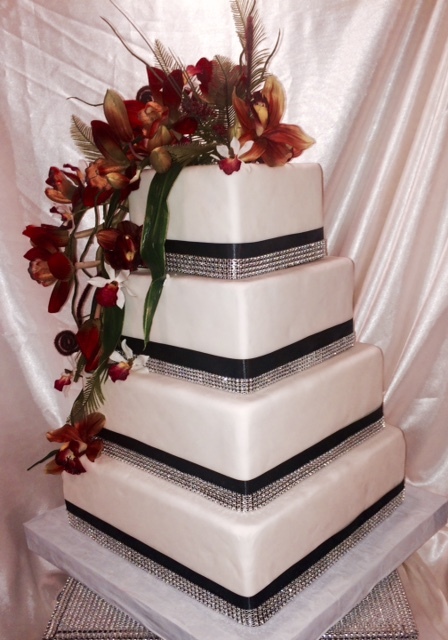 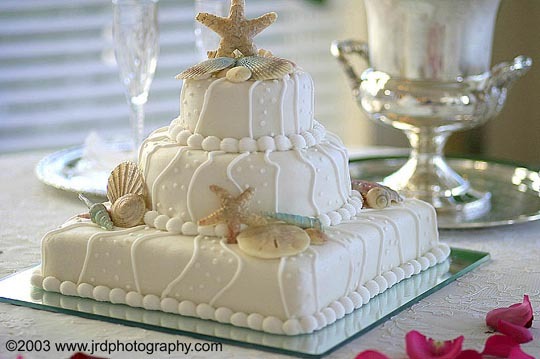 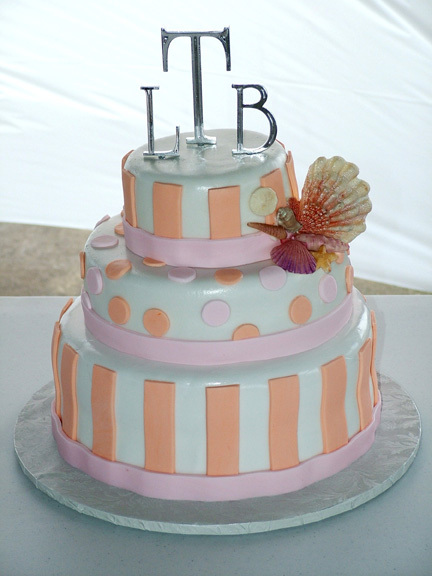 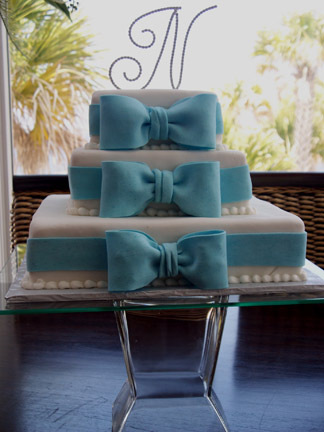 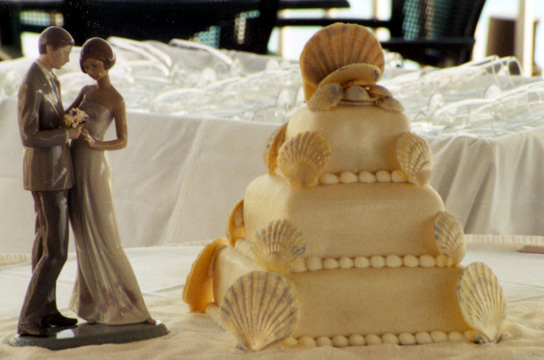 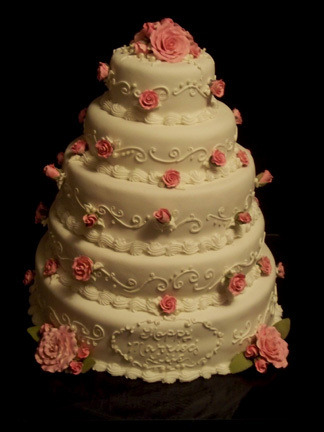 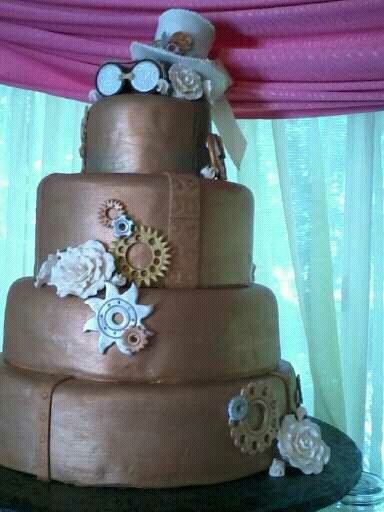 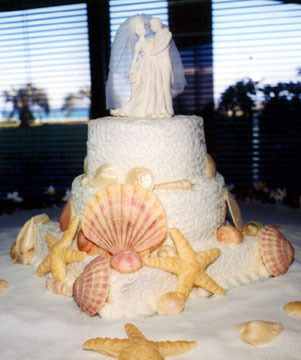 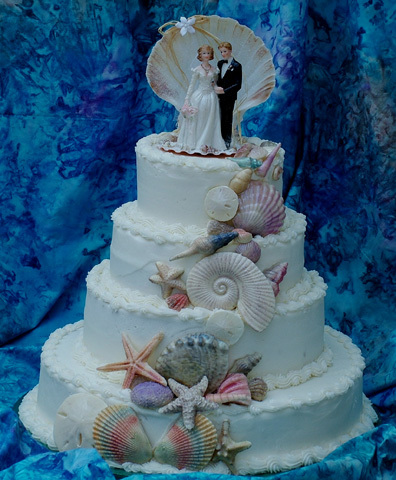 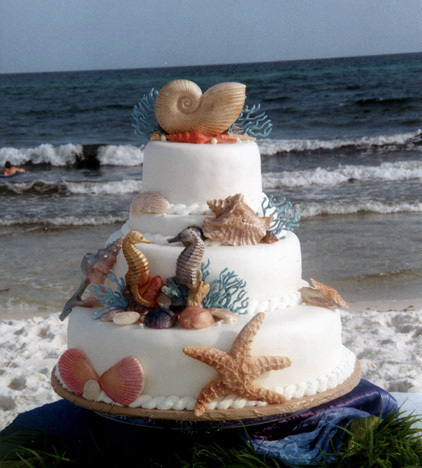 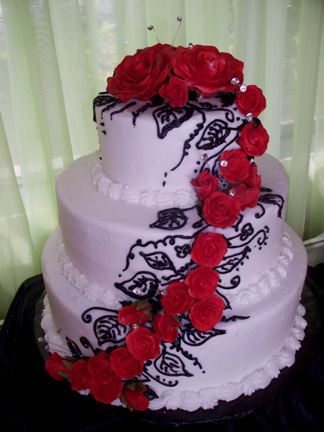 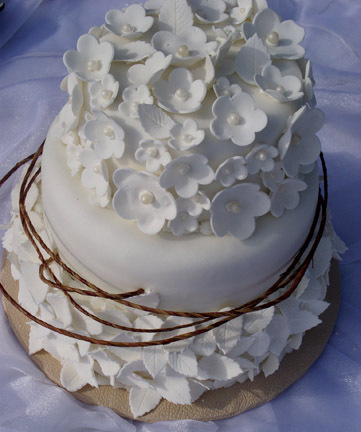 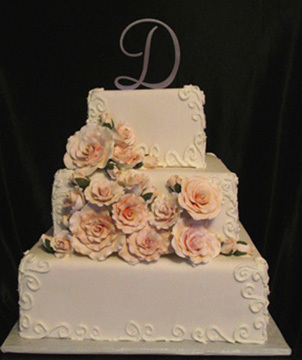 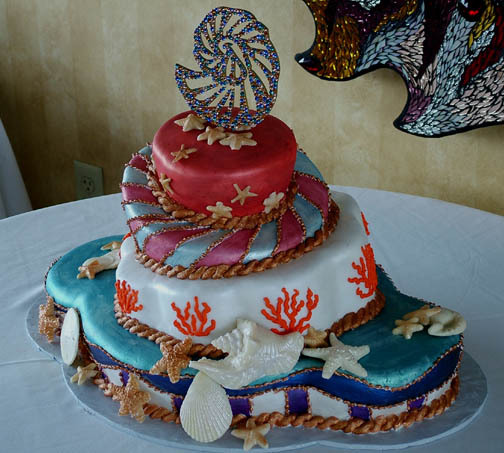 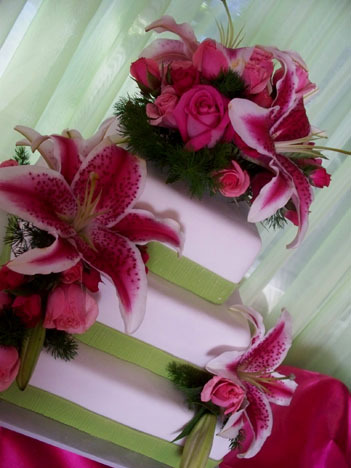 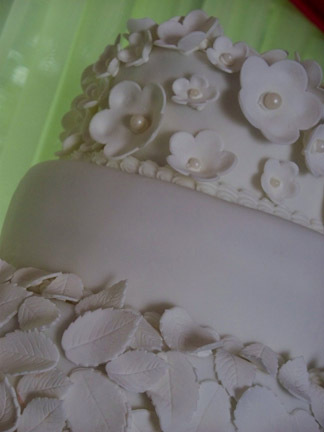 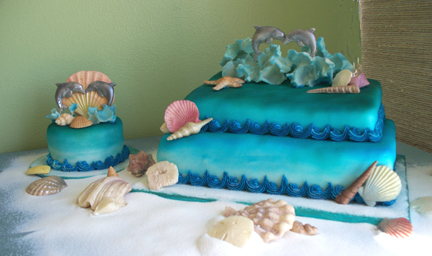 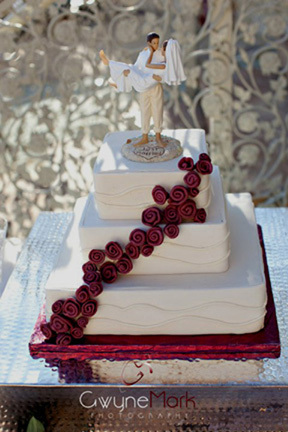 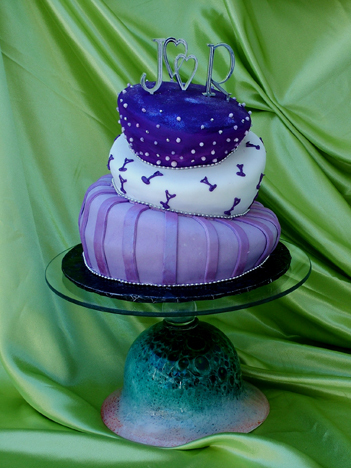 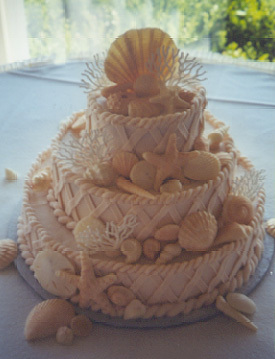 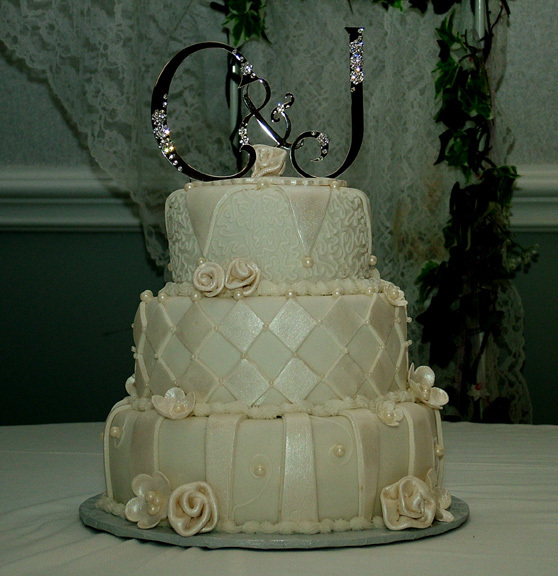 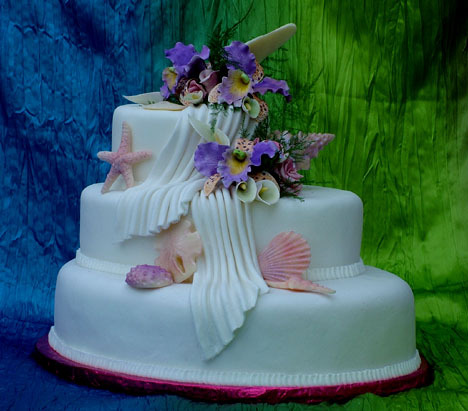 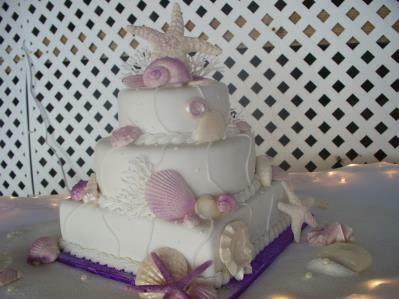 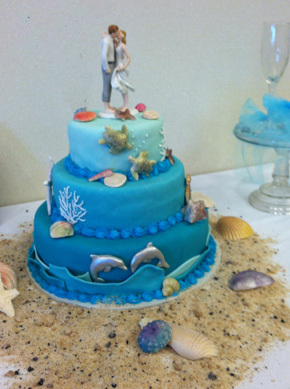 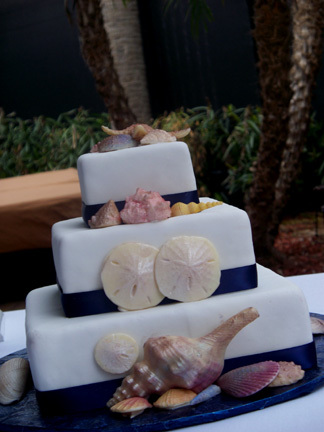 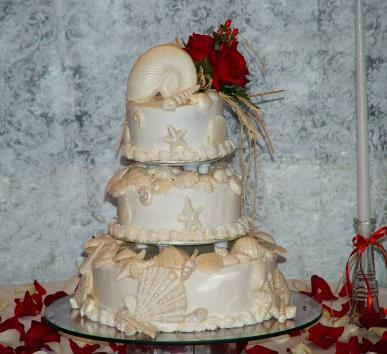 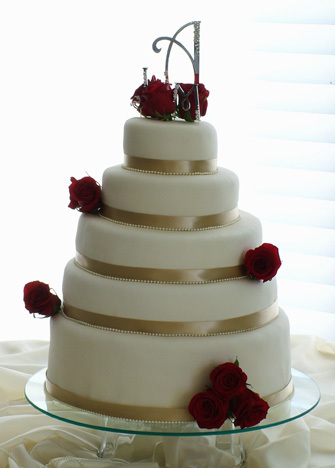 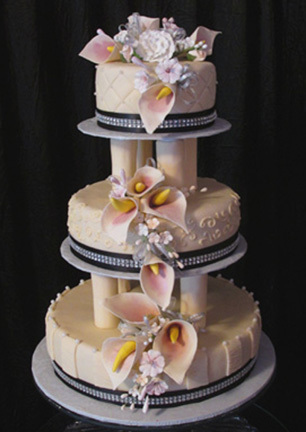 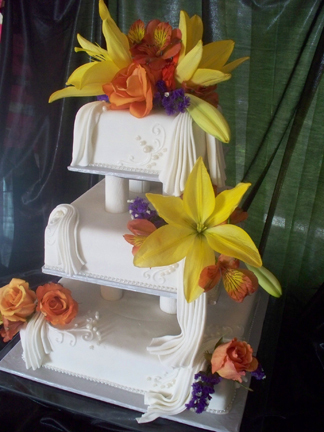 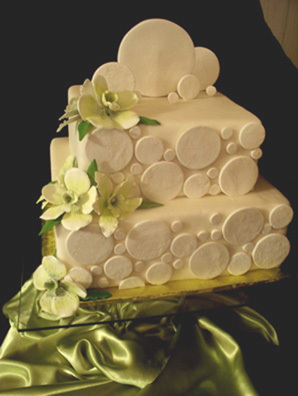 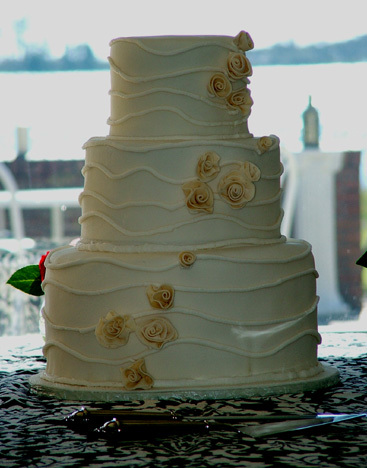 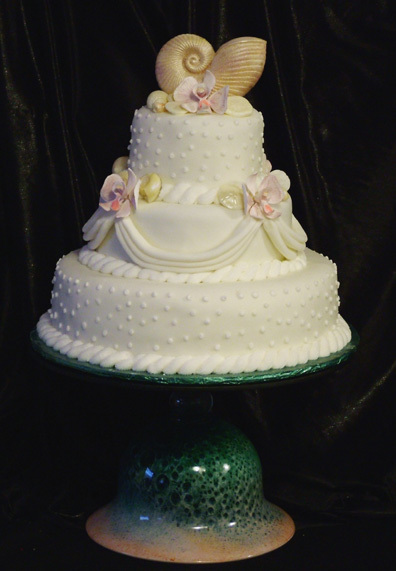 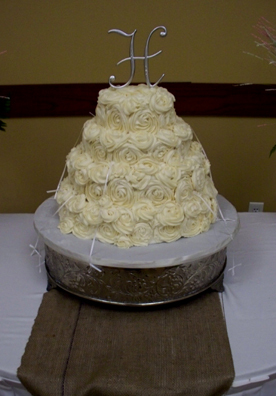 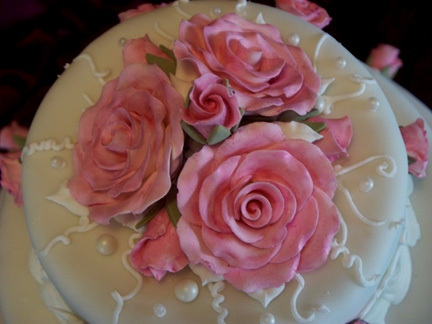 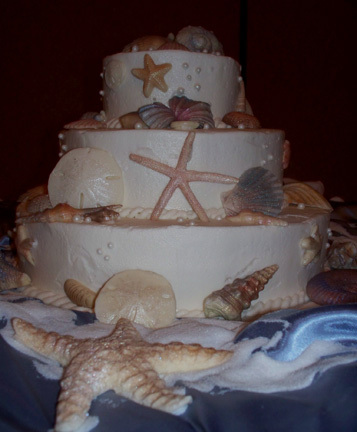 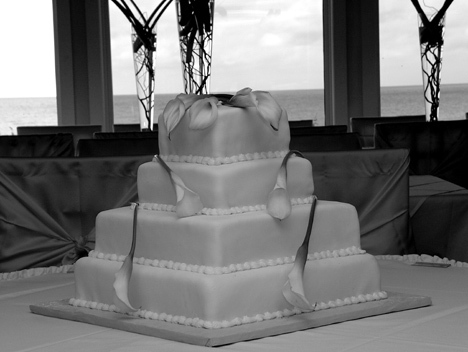 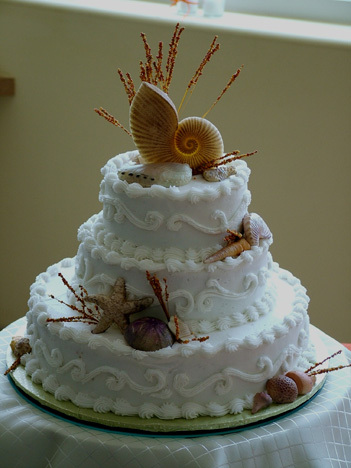 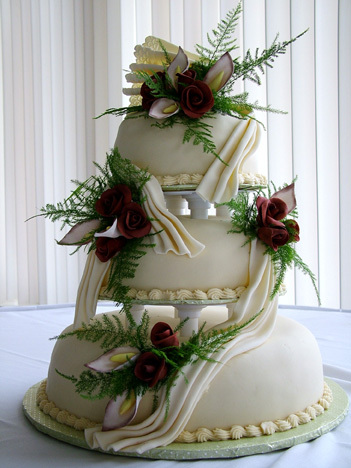 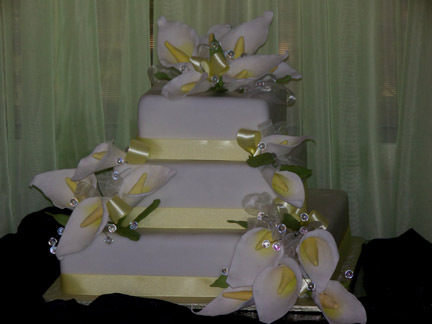 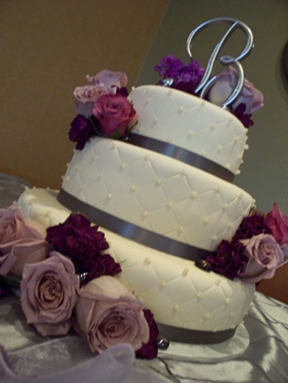 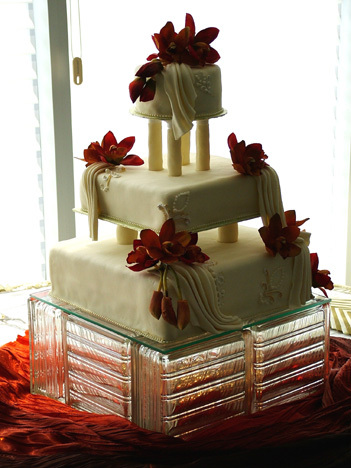 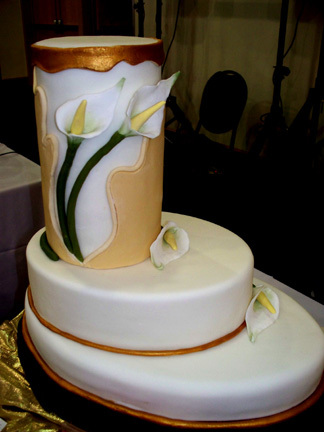 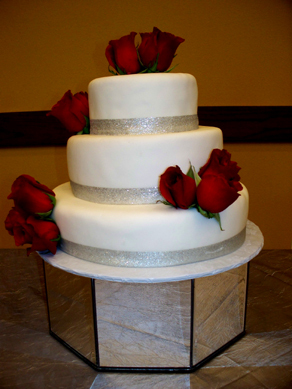 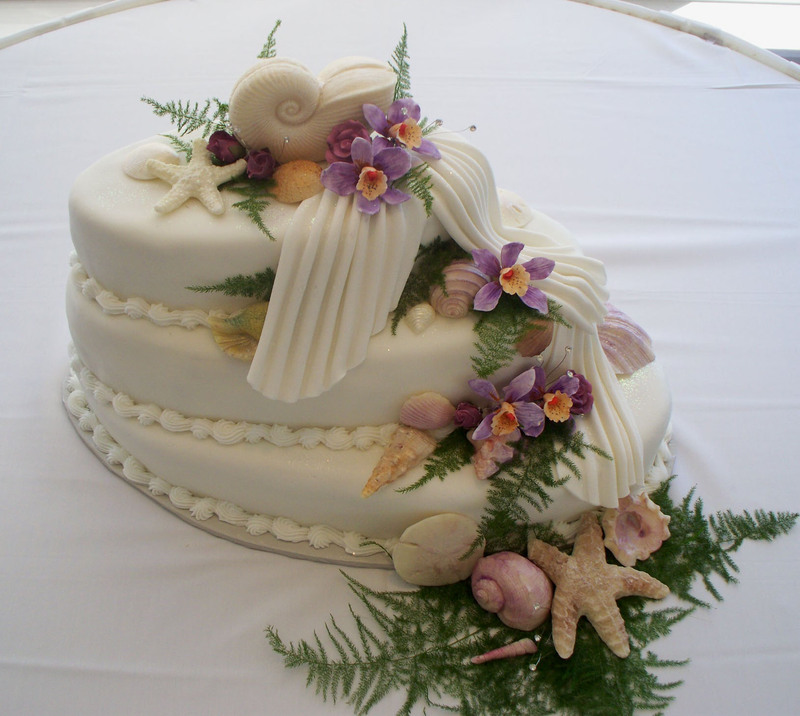 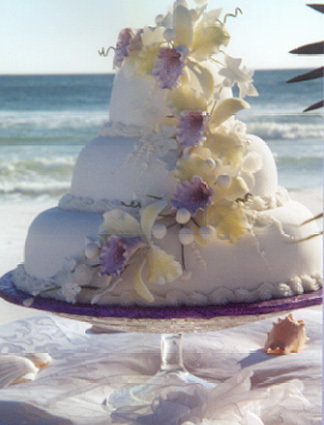 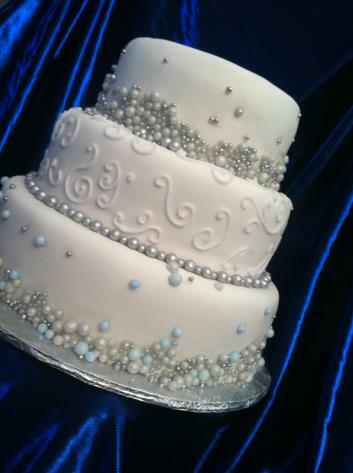 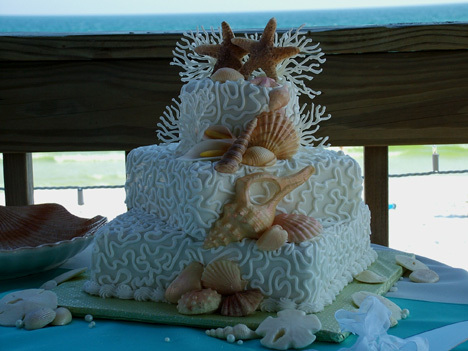 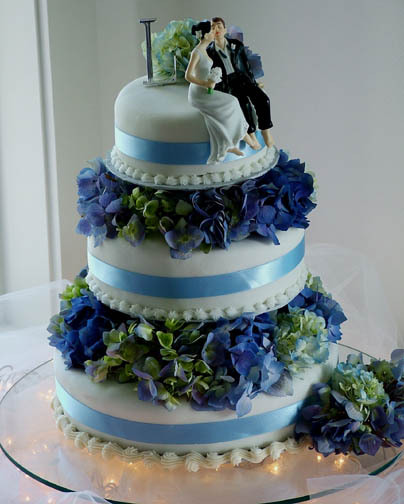 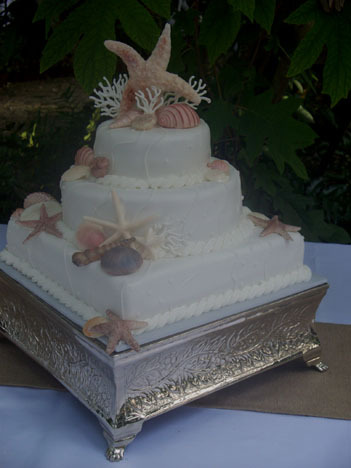 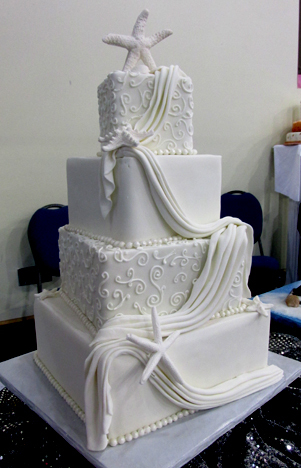 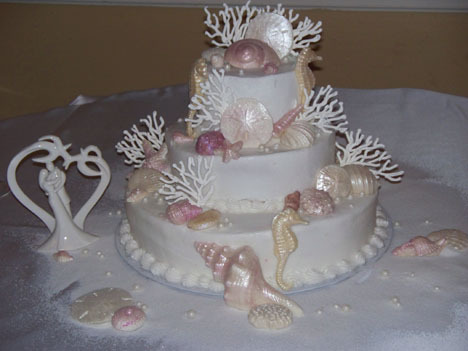 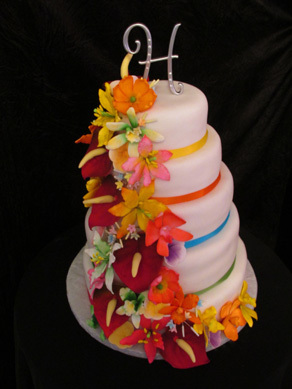 These are only a few of many styles & designs of wedding cakes created by Belinda. 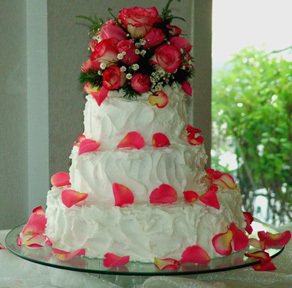 Life is uncertain........Eat Dessert First! 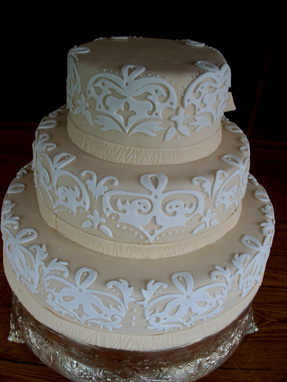 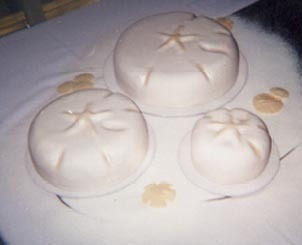 Lace overlays made from fondant icing. 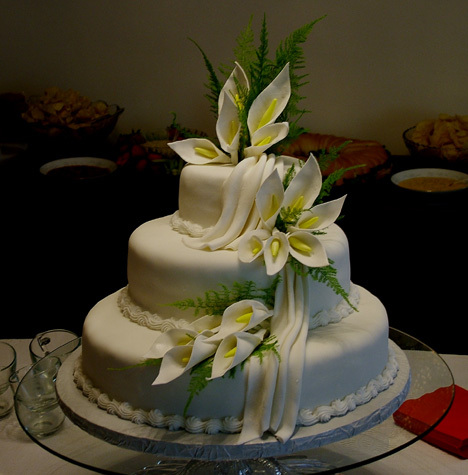 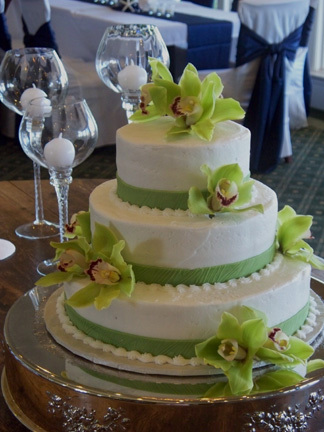 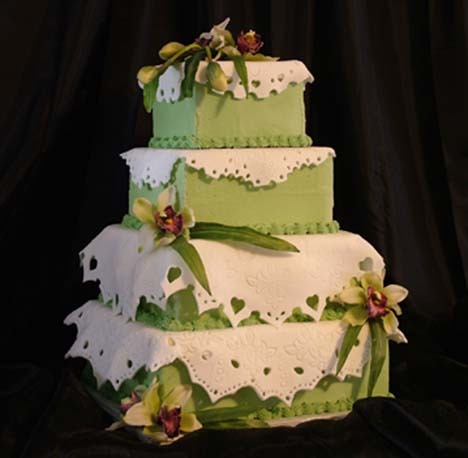 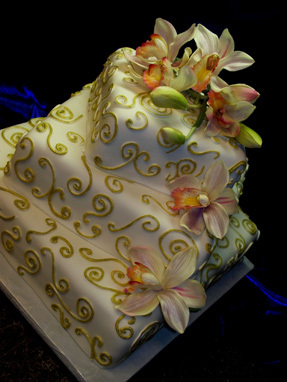 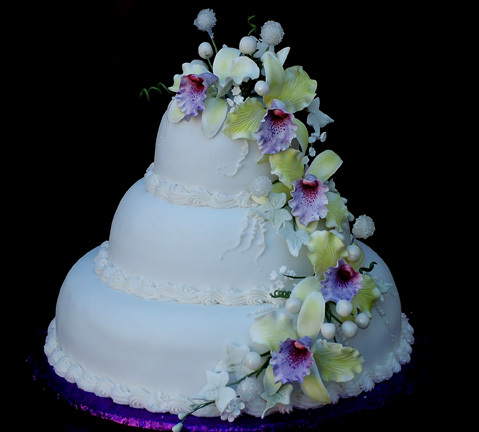 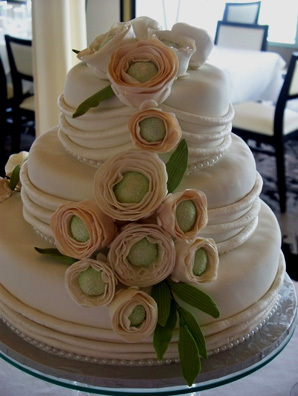 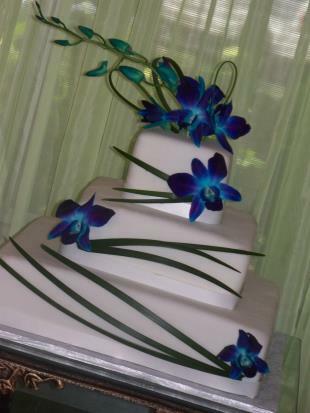 Sugar orchids accent the sage green buttercream cover icing. 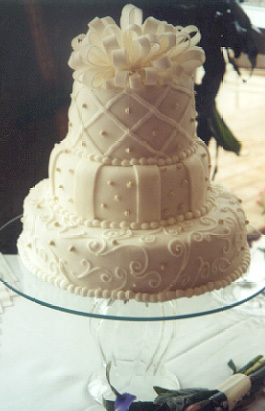 The detail design was replicated from the detail in the bride's gown. 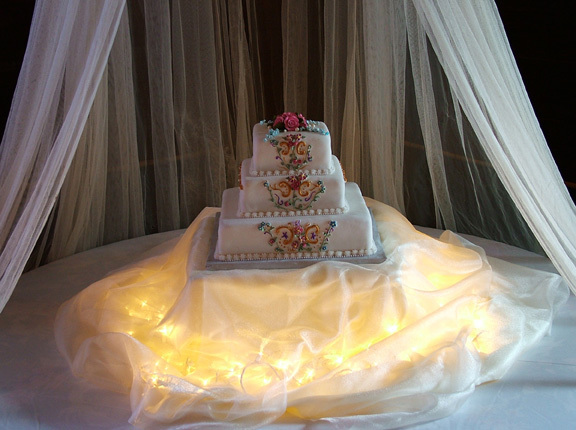 Amber ---set up with bridal netting hung from the ceiling. 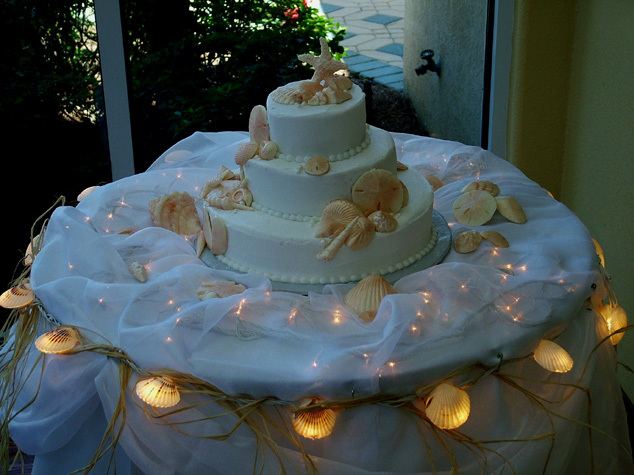 Twinkle lights added an soft glow under white organza fabric drape..
Amber----Close up details, sugar paste roses , rose buds & filler flowers. 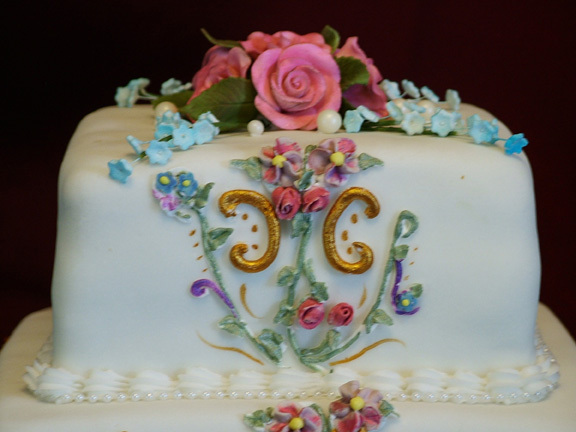 Details where handpainated with royal icintg on fondant icing. 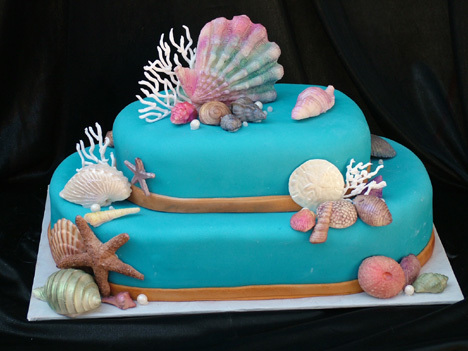 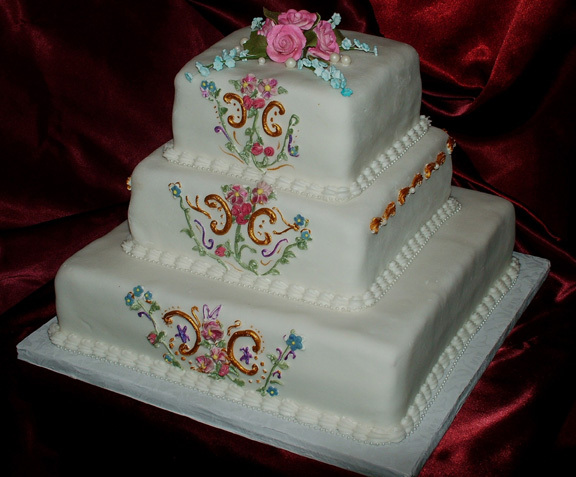 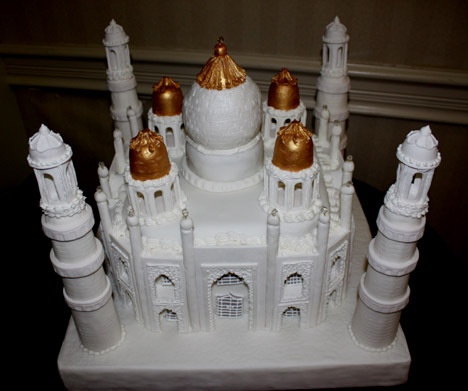 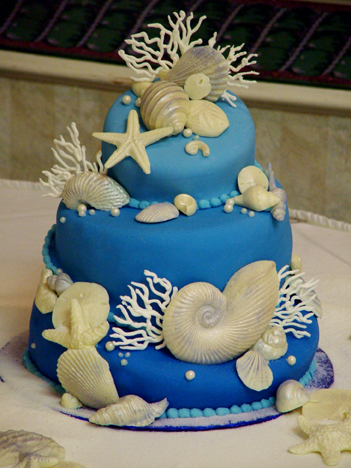 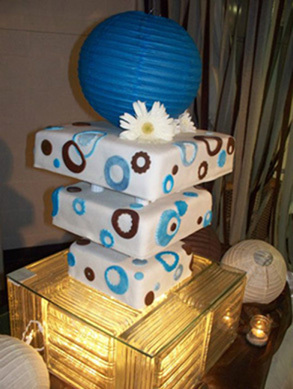 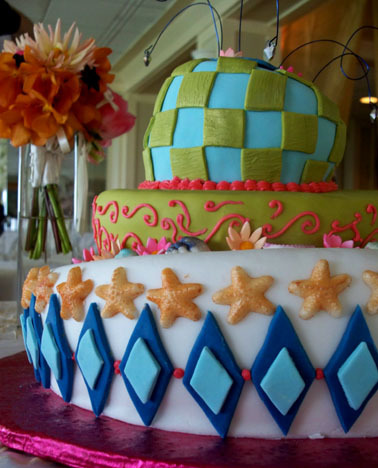 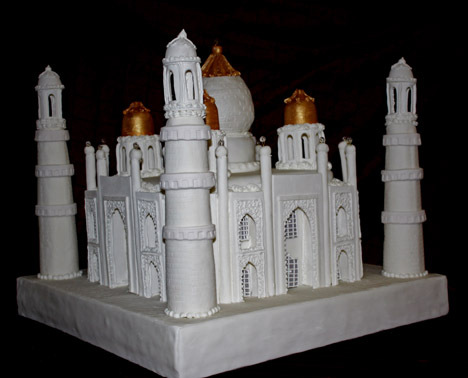 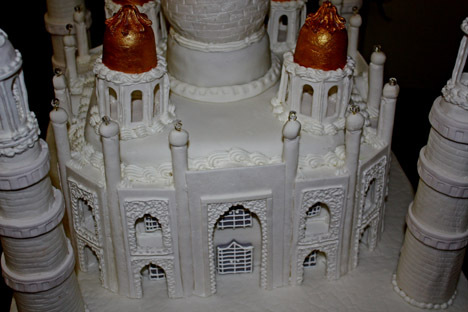 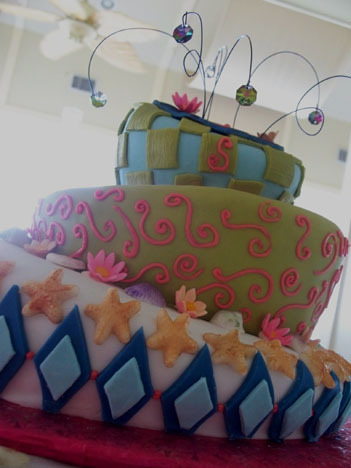 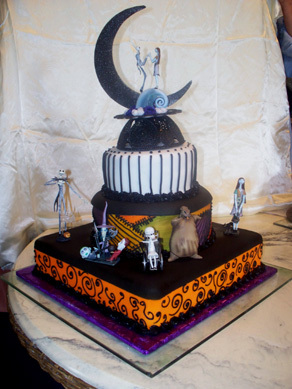 Completely Edible, detailed design from royal icing, main cake covered with fondant icing.